Native English speakers use phrasal verbs all the time. So, if you know the meaning of the most common phrasal verbs you will follow conversations better. 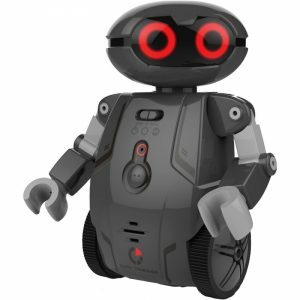 The thing is, not using phrasal verbs can sometimes make you sound a little formal, or in certain circumstances, robotic. If you don’t learn the meaning of phrasal verbs, you could find yourself in embarrassing situations. 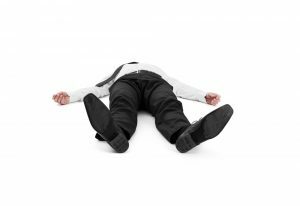 Imagine you’re at a concert and someone shouts, “My husband has passed out!” What’s she saying? That her husband has passed an exam? That’s he’s left the concert? She is in fact saying that he’s unconscious (he’s passed out)! But if you didn’t know what “pass out” meant, you wouldn’t be able to help. These phrasal verbs all have the same verb (to make), but the particles (up, out, off with) can completely change the meanings. So, how are you going to learn phrasal verbs? 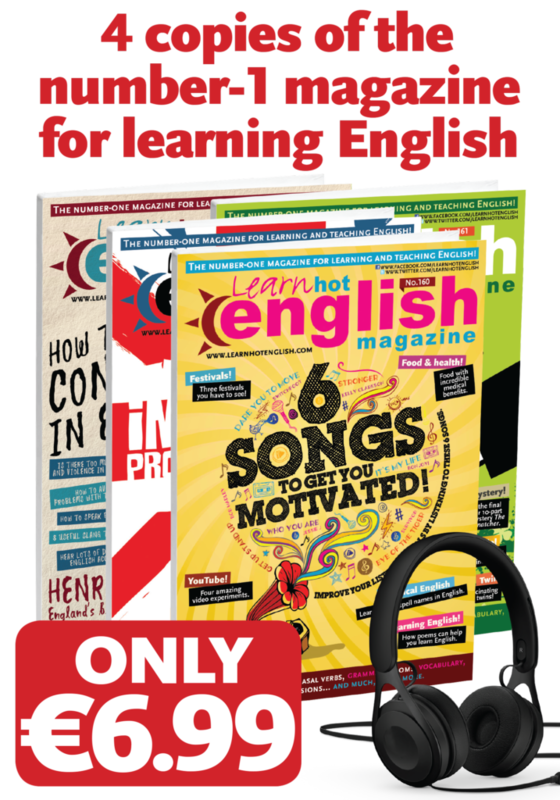 You can study long lists of phrasal verbs with the same verb. But you won’t learn anything that way. And they’ll be impossible to remember. Well, we can help with our little SECRET! The secret to learning phrasal verbs is to group them in topic areas! Our Learn 250 English Phrasal Verbs video course is unique because it uses the special secret to learning phrasal verbs and groups them into topic areas, making a really big difference to how quickly and effectively you will learn them – GUARANTEED! 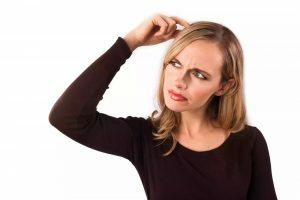 is different to anyhting else you will find you’ll learn common phrasal verbs in a range of different topic areas, for example, for relationships, meetings, money, the phone… This makes them so much easier to remember. We’ll only teach you the most useful phrasal verbs. Plus, the images will help you remember them easily too! 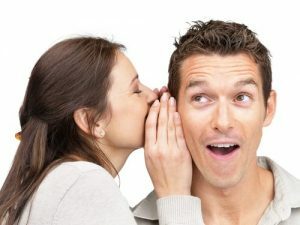 However, in order to truly learn a new word or expression, you need to hear it repeated in several situations. And this is why we put our phrasal verbs in conversations, so you can see how native speakers use them. On top of that, there are exercises and speaking activities with the phrasal verbs, so you can practise using them as well. 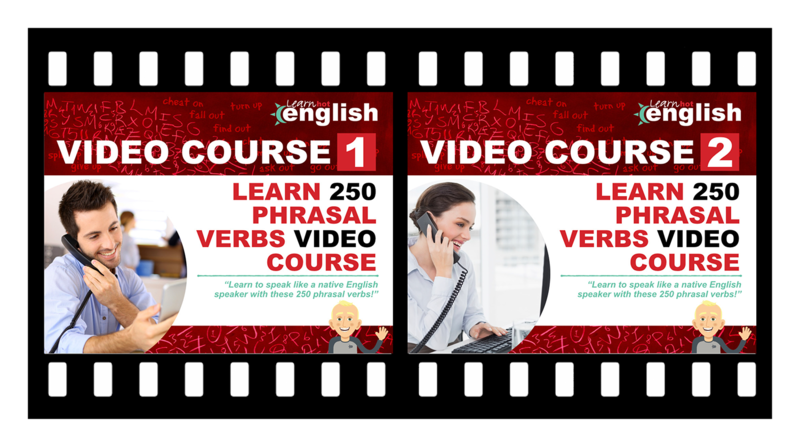 This fantastic video course will teach you more than 250 phrasal verbs effortlessly – just by watching the videos. 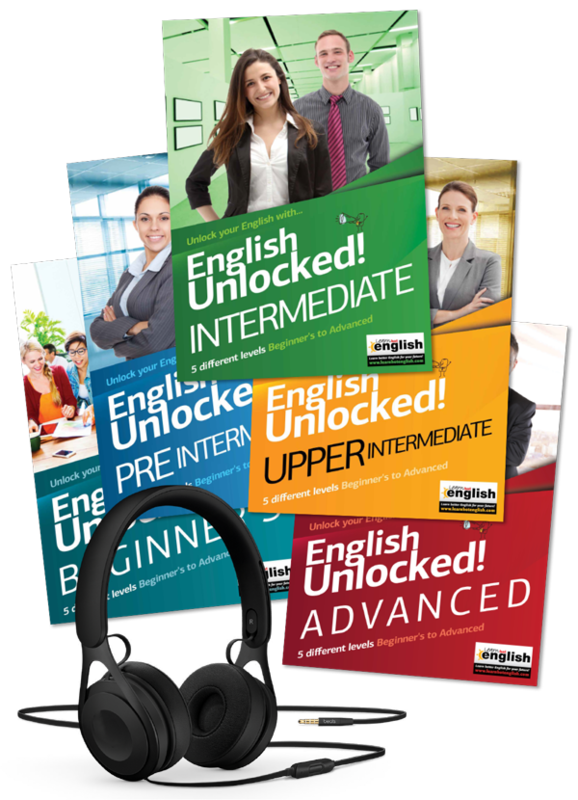 It’s ideal for anyone at an intermediate level and above who wants to start sounding more like a native English speaker. Simply watch the video and do the oral exercises with your own personal online teacher! There’s no need for any writing – just listen, respond and learn! 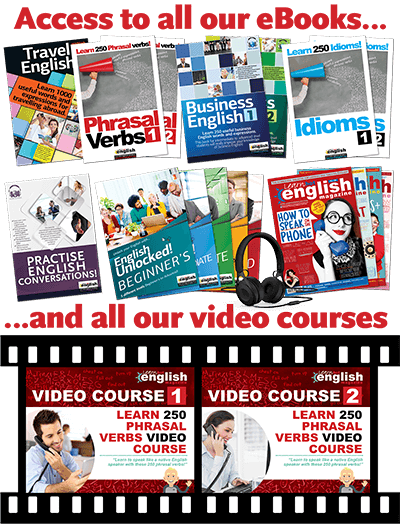 Sign up for our Learn 250 English Phrasal Verbs video course, you get your 23 videos on phrasal verbs grouped into topics. 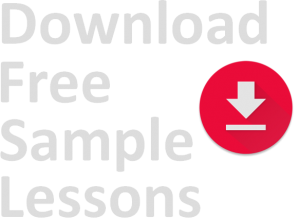 1 free Phrasal Verbs eBook worth €12. 1 free magazine worth €5. 2 free Phrasal Verbs eBooks (eBooks 1 and 2) worth €24. 2 free magazines worth €10. 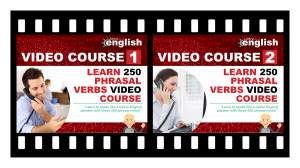 We know you’ll love our Learn 250 English Phrasal Verbs video course, and we know you’ll learn a lot, but just in case you aren’t 100% satisfied, send us an e-mail and we’ll refund you within 24 hours! 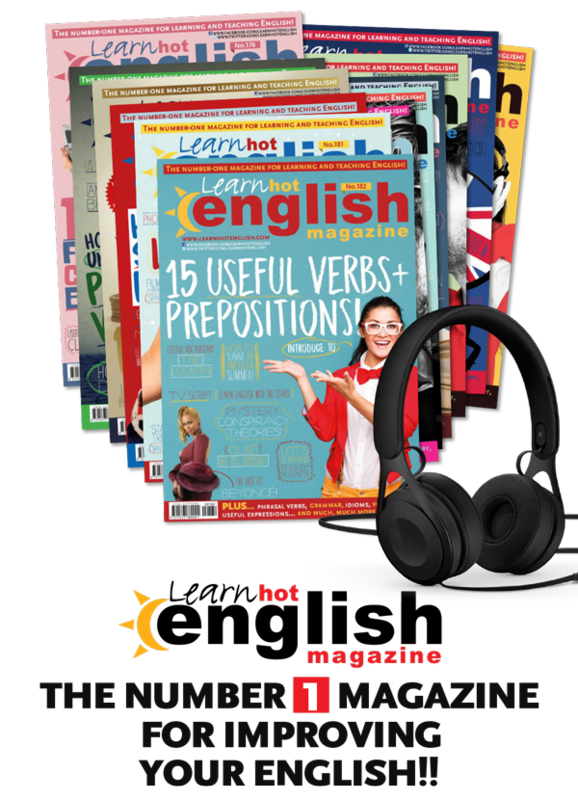 Are you ready to learn 100s of English phrasal verbs quickly and easily? Click below to sign up TODAY! Learn how to use phrasal verbs so you can sound more like a native English speaker! The News I (politics): language exercises, listening activity (an interview with a government minister), speaking activity. The News II (political action): language exercises, listening activity (the war), speaking activity. The News III (riots, protest & war): language exercises, listening activity (parking restrictions), speaking activity. The News IV (new laws): language exercises, listening activity (escaped prisoners), speaking activity. The News V (political changes) language exercises, listening activity (school protests), speaking activity. The News VI (taking action): language exercises, listening activity (no to nuclear! ), speaking activity. The News VII (violence): language exercises, listening activity (anti-government protests), speaking activity. Travel: language exercises, listening activity (what to do in the city), speaking activity. Speaking / Talking: language exercises, listening activity (the staff lunch), speaking activity. Law: language exercises, listening activity (an armed robbery trial), speaking activity. Meetings I: language exercises, listening activity (feedback from the meeting), speaking activity. Meetings II: language exercises, listening activity (taking decisions), speaking activity. Negotiating I: language exercises, listening activity (negotiating strategies), speaking activity. Negotiating II: language exercises, listening activity (angry workers), speaking activity. Health and Sickness I: language exercises, listening activity (a really bad week), speaking activity. Health and Sickness II: language exercises, listening activity (the new health programme), speaking activity. Health and Sickness III: language exercises, listening activity (the sick worker), speaking activity. Advertising I: language exercises, listening activity (problems with an advert), speaking activity. Advertising II: language exercises, listening activity (keeping the client happy), speaking activity. 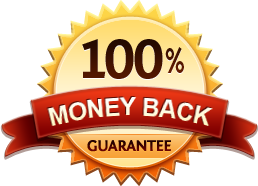 Money I: language exercises, listening activity (how to reduce expenses), speaking activity. Money II: language exercises, listening activity (a good day at the shops), speaking activity. Money III: language exercises, listening activity (money changes), speaking activity. 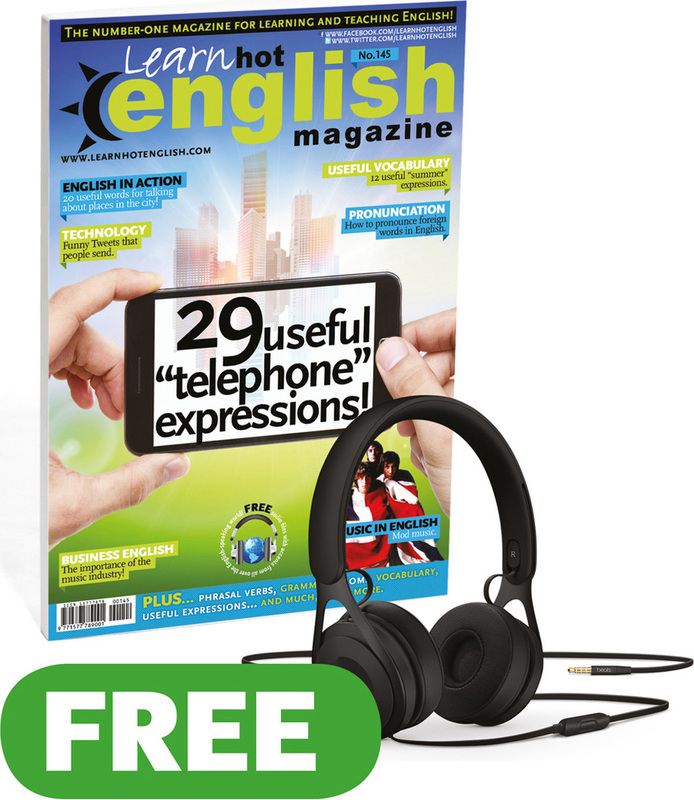 The Telephone: language exercises, listening activity (the phone message), speaking activity. Driving I: language exercises, listening activity (the drunk driver), speaking activity. Driving II: language exercises, listening activity (the crazy driver), speaking activity. Dating: language exercises, listening activity (love life discussion), speaking activity. Recruitment: language exercises, listening activity (the “fantastic” job), speaking activity. Time: language exercises, listening activity (the busy boss), speaking activity. Weather: language exercises, listening activity (a trip on a yacht), speaking activity. Travel: language exercises, listening activity (trying to catch a flight), speaking activity. Crime: language exercises, listening activity (the escaped prisoner), speaking activity. The Home: language exercises, listening activity (moving in with a partner), speaking activity. Sport: language exercises, listening activity (a disastrous sports day event), speaking activity. Sleeping & Waking: language exercises, listening activity (trying to get someone up), speaking activity. Socialising: language exercises, listening activity (the dinner party), speaking activity. Food and Drink: language exercises, listening activity (chaos at the restaurant), speaking activity. Changes: language exercises, listening activity (how to cut costs), speaking activity. Success and Failure: language exercises, listening activity (problems at university), speaking activity. Relationships I: language exercises, listening activity (asking out the new employee), speaking activity. Relationships II: language exercises, listening activity (discussing your love life), speaking activity. The Classroom I: language exercises, listening activity (chaos in the classroom), speaking activity. The Classroom II: language exercises, listening activity (an “explosive” class), speaking activity. Work and Career I: language exercises, listening activity (new responsibilities), speaking activity. 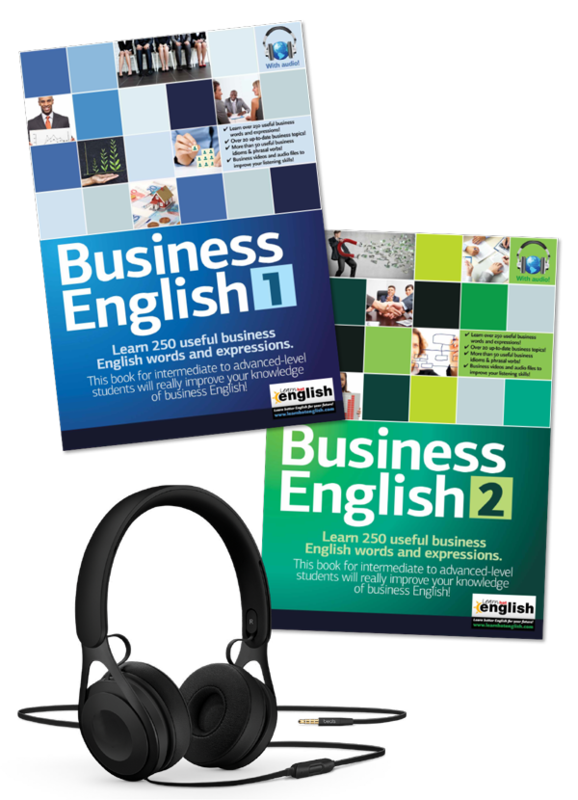 Work and Career II: language exercises, listening activity (the disastrous employee), speaking activity. Spending and Saving: language exercises, listening activity (how to sell a clock), speaking activity. Clothing: language exercises, listening activity (deciding what to wear), speaking activity. Time I: language exercises, listening activity (unfinished work), speaking activity. Time II: language exercises, listening activity (wasting time), speaking activity.